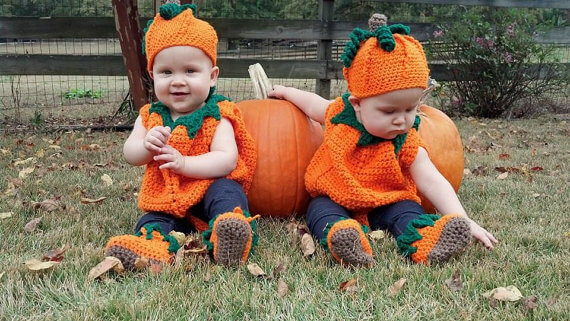 Etsy has you covered with charming Halloween crochet patterns if you're looking to whip up a fun costume or some cute Halloween decorations this fall. Some (not all) pattern designers give permission for you to use their patterns to create finished products to sell, as well as for personal use. 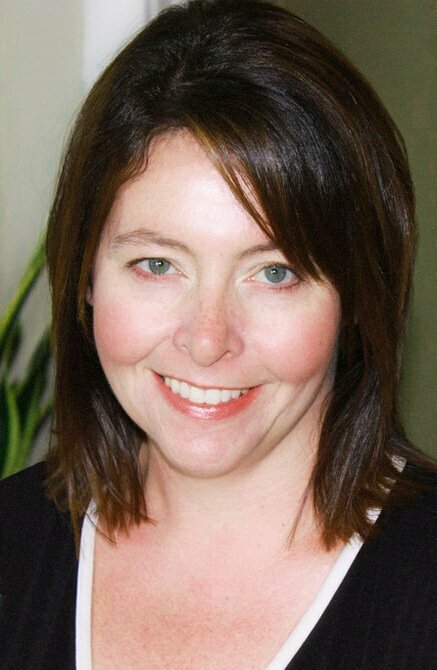 If you do sell finished products, be sure to credit the pattern designer, and keep in mind, you can always contact the designer if you need some clarification about their policies. Love the Halloween costume patterns featured in the video? You'll find links to each designer's Etsy shop here. 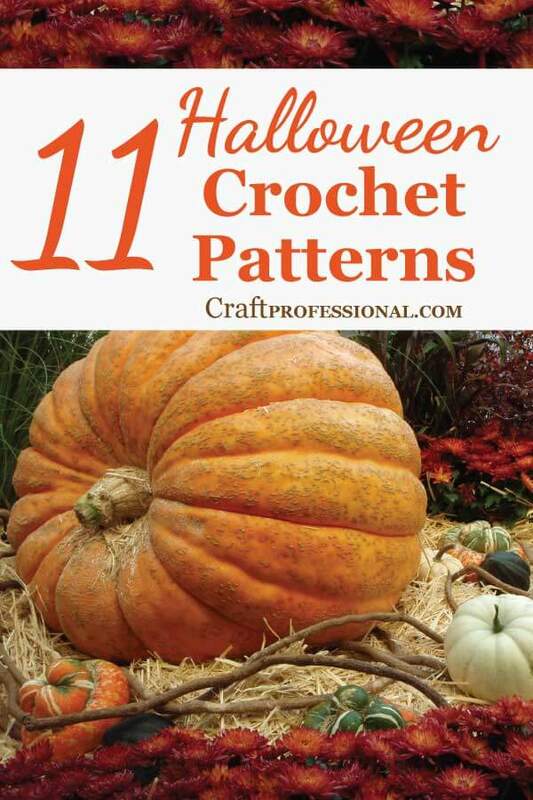 Here are some of my favorite Halloween crochet patterns on Etsy. I am in love with this sock monkey pattern from Ira Rott Designs. The pattern comes in 8 sizes to fit from newborn to age five. This shop is full of sweet patterns, so take your time and browse around. 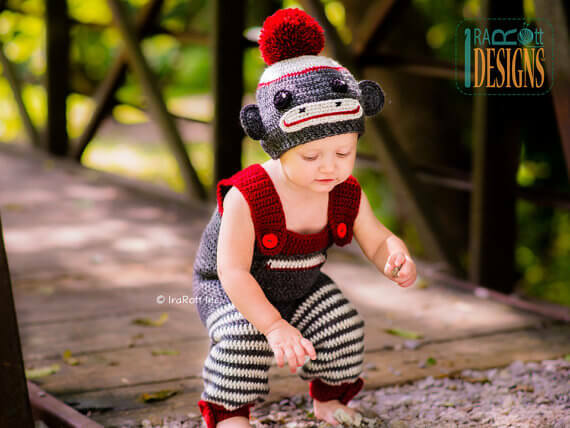 Ira Rott Designs gives permission to use her patterns to create finished pieces to sell, so you can make a gorgeous outfit for your own child or grandchild, or you can make a few lovely crocheted outfits to sell. These little baby pumpkins are completely adorable. It almost makes me wish my own kids were still small enough to want to wear cute (instead of creepy) costumes. 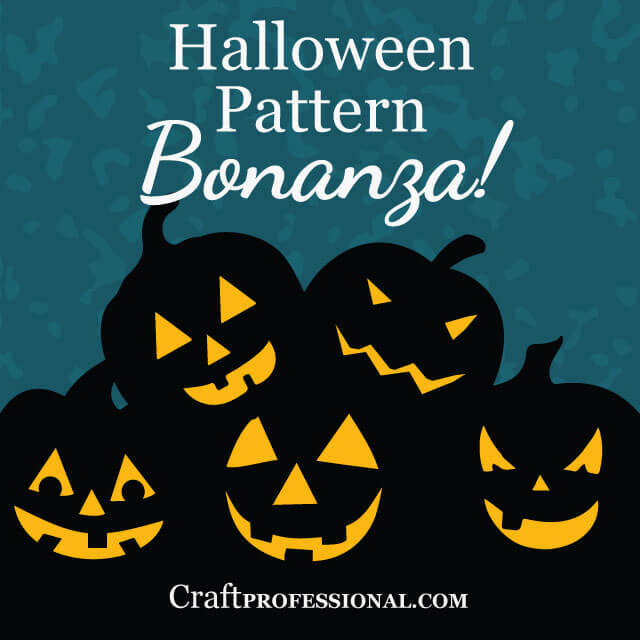 Sandy also gives permission to use her patterns to create finished products to sell, so these Halloween crochet patterns can do double-duty for personal use and for your own craft business. I just can't resist this spectacular crocheted hat pattern from Amarmi on Etsy. 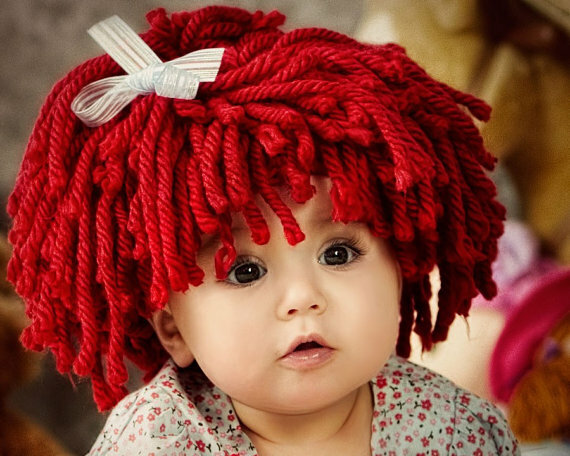 It could easily be the focal point for a Cabbage Patch Doll costume, or a Raggedy Anne costume. Plus, here's another shop owner who generously allows you to sell finished projects made with her patterns. I had a hard time choosing a favorite crochet pattern from Ira Rott Designs, so I had to include one more. As well as full outfits, there are plenty of creative hat patterns in the Ira Rott Designs shop. The great thing about these hats is they can form the basis of a charming Halloween costume, and they can be worn throughout the winter. 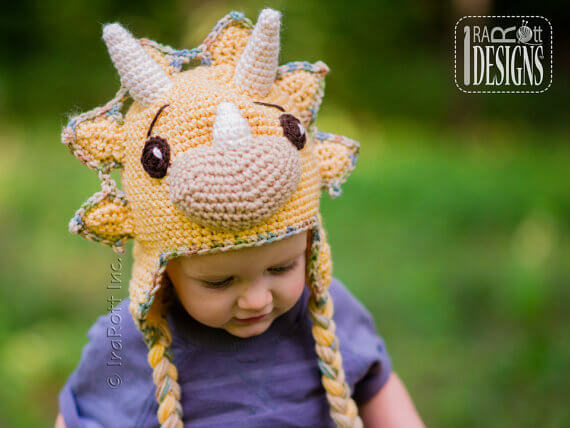 This dino hat pattern comes in sizes to fit 6 month olds to adults, so you can make one for every member of your family. Why not trick-or-treat as an entire triceratops family this year? 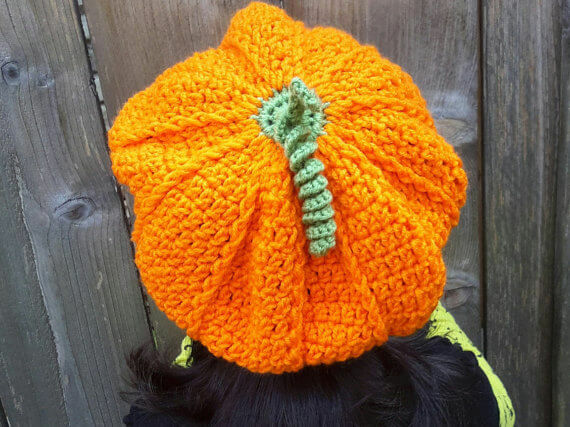 The spiral stem on this pumpkin hat pattern from Serendipity as Always makes it irresistible. It is sized for kids aged three to ten. This beanie crochet pattern is another project that is practical beyond Halloween. Your child can look cute wearing it all through the autumn months. If you've always wanted to be a Cabbage Patch Doll for Halloween, here's your chance. Burley Beardco (what a great shop name!) also sells patterns for some hilarious crocheted beards that are definitely worth checking out. 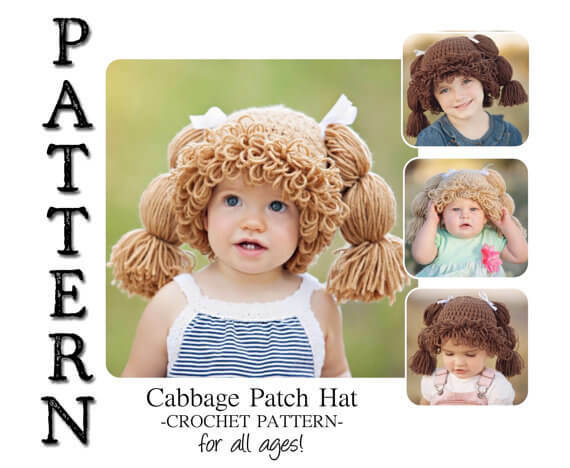 If you don't have time to make your own Cabbage Patch wig, you can also buy completed items made from these patterns in the Burley Beardco shop. 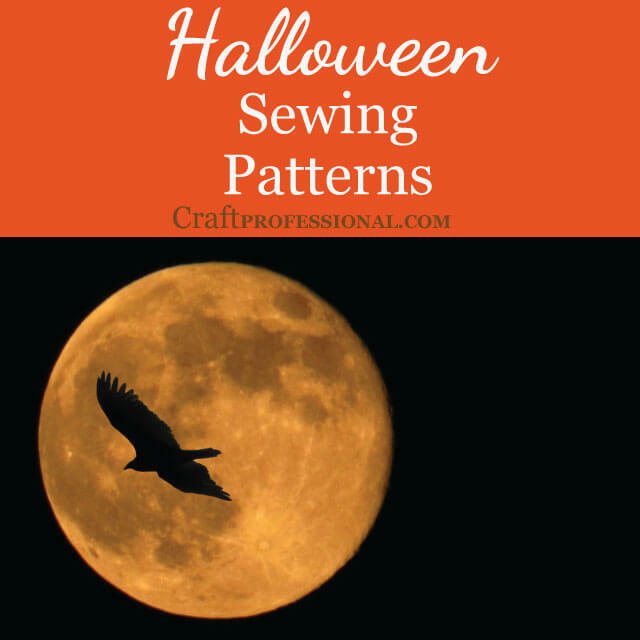 The shop owner has asked that you use these patterns to make projects for personal use only. You can outfit your whole family with wigs (or beards), and that would look quite charming. Feeling a bit green this Halloween? 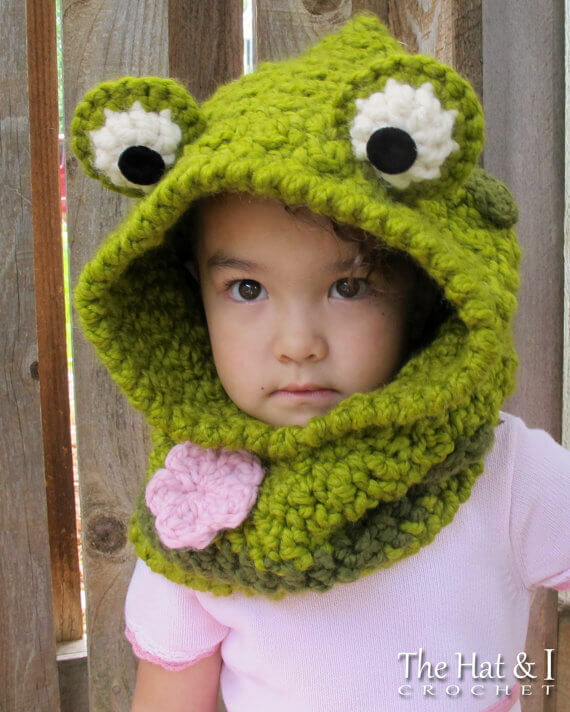 The Hat and I sells a lovely frog cowl pattern for toddlers, children and adults. Feel free to sell finished products you make as long as you reference the original source of the pattern. If frogs are not your thing, have a browse through The Hat and I shop. There are plenty of beautiful patterns. 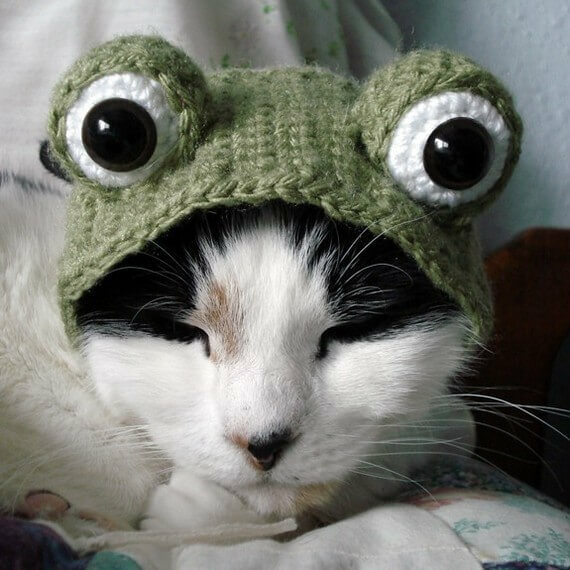 While you're dressing yourself and your kids up like frogs, your cat might as well get in on the action too. Xmoonbloom sells adorable Halloween crochet patterns you can use to dress up your cat or small dog! 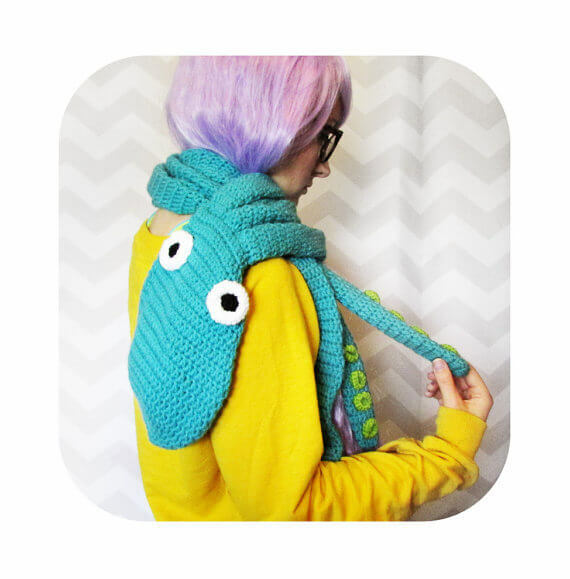 A crocheted octopus scarf? Yes, please! Use this pattern from Hello Happy to dress up like an octopus for Halloween, or sell a few finished scarves on your own Etsy shop. And, if you really love octopi, you can dress your baby in a Halloween octopus costume, too. 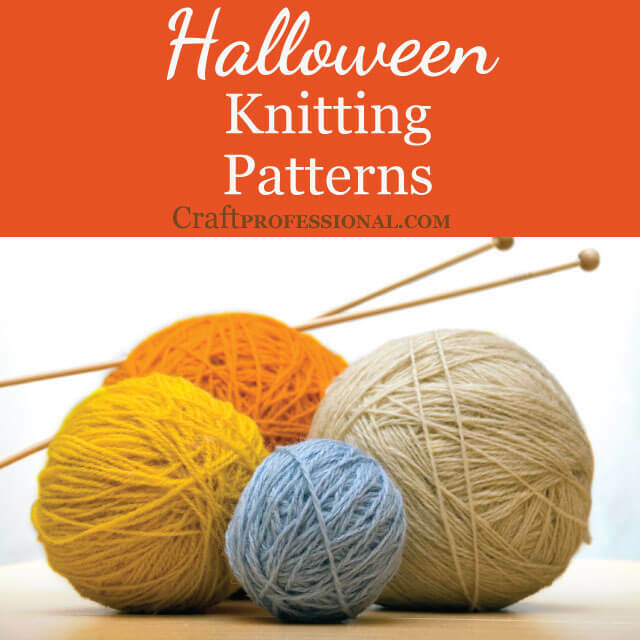 If you have your costume worked out, but you want to crochet a little monster to decorate your home or delight your favorite kids, have a look at the patterns at laly lala. 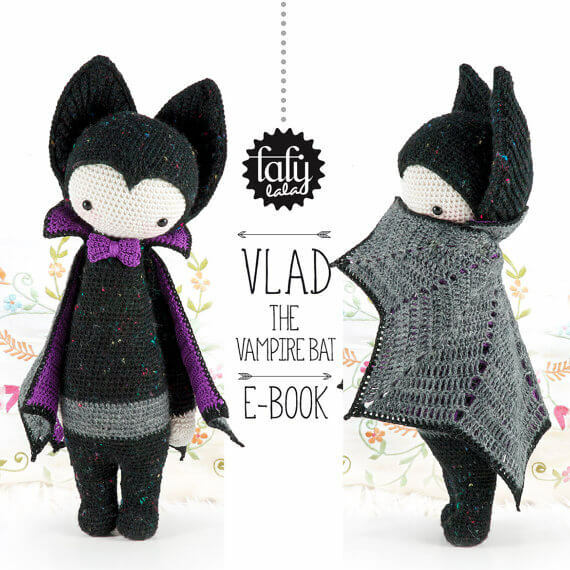 I'm patial to Vlad the vampire bat, but browse around the shop. There are several adorable creature patterns available. You may sell the finished product you make with this pattern, but do read terms on the listing to ensure you credit the designer correctly.